On Friday April 20th the Local Organising Committee has organised a conference dinner which will take place at Ravintola Messenius, a charming and traditional Finnish restaurant in the Töölö district of central Helsinki. Messenius has a long history, having opened in 1937. 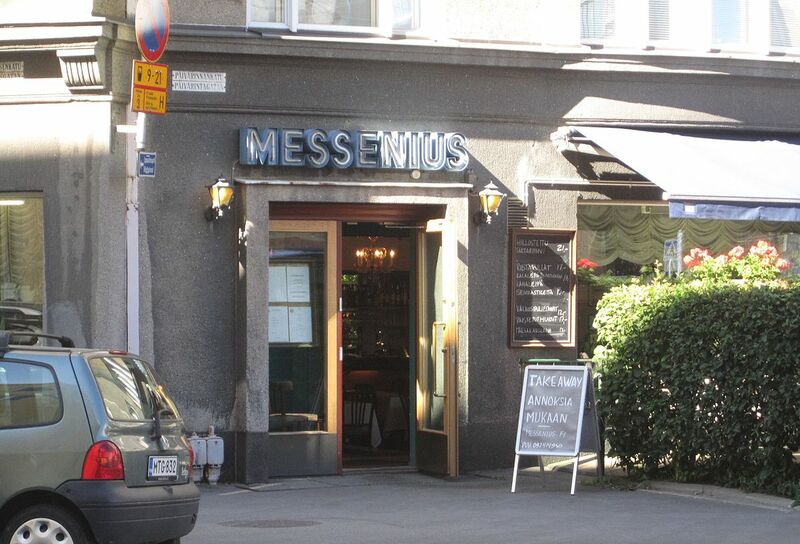 Amongst its patrons over the years, the famous Finnish directors, Aki and Mika Kaurismäki used Messenius as their “headquarters”, the caterer for their on-set filming and as a shooting location. This dinner will be an excellent conclusion to our Helsinki Midterm Conference during which time we may get to know one another in a relaxed environment. The fee for this conference dinner is €50.00 (inclusive of VAT). This is a rather good price for a three-course meal and drinks at a restaurant in central Helsinki. Should you wish, you may purchase more drinks from the restaurant at your own cost. If you wish to attend the conference dinner, you may purchase a ticket when registering for the conference. Unfortunately, we cannot guarantee a place at the conference dinner if you do not sign up and pay the fee when registering your conference attendance.